Around 5 years ago, via his Thursday evening BBC country show, Bob Harris introduced us to a couple of female artists who were plying their trade many miles, both physically and metaphorically, from the formal industry centre of Nashville Tennessee. Sharing a common trait of possessing a voice etched with the pleasure, pain and emotion of pure country music, Sara Petite and Zoe Muth soon became firm personal favourites showing the vibrancy of the genre on the nation’s west coast. Now in the space of 6 days, it has been a delight to catch up with both artists on selected dates during their current respective UK tours. In contrast to Zoe who is touring with her band, Sara has taken the option of travelling alone on this trip armed only with her guitar, a bunch of neat songs and that voice extracting every inch of sinew from the core of her compositions. Sara has had more experience of touring the UK, often with her own band, without reaching the audience her music deserves. All four studio albums are well stocked with songs rich in melody, true in tradition and presented in a recognisable style full of passion and panache. This evening an audience in the town of Stroud on the edge of the Cotswolds had the opportunity up close and personal to connect with the music of Sara Petite. The Prince Albert makes effective use of its surroundings with an unsurprising heavy folk bias to the artists it promotes. 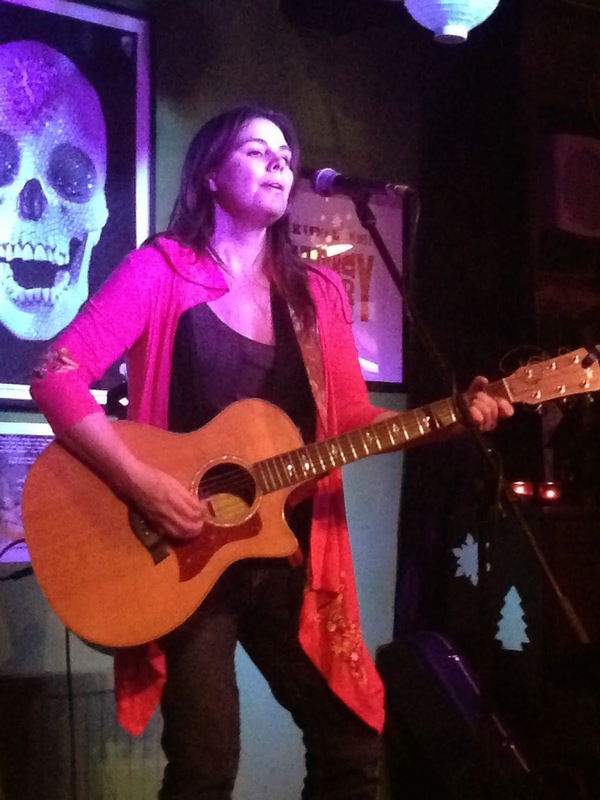 On the back of her double header slot with Stephen Simmons the previous evening at London’s prestigious Green Note, Sara shared this date with a UK artist Rhiannon Mair and used her hour wisely to showcase the breadth of her career. Stretching back to her sophomore album from 2008, Sara lifted ‘Heaven Bound’, ‘Little House’ and, as part of a medley, ‘Coming on Strong’ from her LEAD THE PARADE record with an air of confidence that saw her politely banish a couple of intrusive punters to the back of the room when she needed space to deliver the quieter numbers. 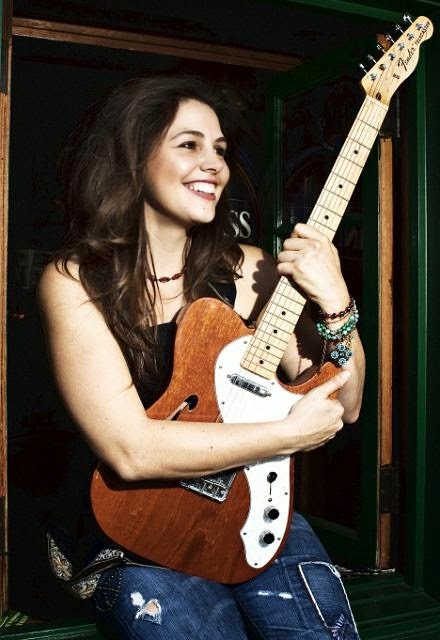 Of course Sara with her band could mix and win with many a raucous honky tonk out west in her home state of California and when in full flow there is no finer song to her arsenal than ‘Bootleggers’ from the DOGHOUSE ROSE album which launched her presence in the UK. Not shying away from providing some background to certain songs, Sara shared her experience of moonshine along with other musings such as her love for Kris Kristofferson’s simplistic approach to song writing. Also she acknowledged the importance of patching things up with her band member partner in a new song titled ‘Getting Over You’. With her next potential project seeing the feasibility of a live record being explored, there were still a few opportunities to indulge in the excellence of the latest record CIRCUS COMES TO TOWN. This 2013 album had lots of favourable press from trusted UK sources and tonight Sara elected to play the title track as her opening number, alongside ‘The Master’ and possibly a song which would be better received in a more vibrant environment ‘If Mamma Ain’t Happy’. These tracks all sounded great stripped down in this setting and style but were definitely eclipsed by the emotion of ‘Flying in Your Dreams.’ Written in tribute to her grandfather and in the aid of raising funds for the Alzheimer’s Association, the song drained of pure emotion and feeling as well proving to be a fitting finale to her set. It was inevitable that witnessing Sara Petite live for the first time would fuel a desire to see more and the hope that it won’t be too long until she returns, perhaps with a full band next time. In the meantime those who value a sound dripping in country music ethos should continue to help Sara raise her profile in the UK. She is an artist who understands the right path of the music, engaging and captivating those in tune with how the genre should unfold.